Why Are You Not Growing Muscle? Natural Bodybuilding FAQ: Why Are You Not Growing Muscle? Free One on One Phone Consultations & Why Are You Not Growing Muscle? 1) Having the right kind of diet. Without the proper fuel, your gains will be close to zero. And the more advanced you get, the more dialed in you have to be with your nutrition program. 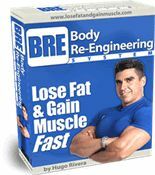 A good baseline diet to gain mass is to consume 1-1.5 grams of protein per pound of lean body mass, the same for carbs and .33 x lean body mass in grams of good fats per day. Take that, split it into 5-6 meals a day, and that will get you started. After a month, you can start playing with caloric cycling (doing 5 days of higher calories (lean body weight x 15) and 2 days of lower (lean body weight x 12)) in order to maximize muscle gains and minimize fat gains. And on top of that, you will also adjust carbohydrates based on your body type. Hardgainers need more carbohydrates than endomorphs for example. 2) Having the right kind of bodybuilding training plan. This plan needs to be periodized. Periodization is a training method that changes the workout variables of sets, repetitions, rest in between sets, and exercises used in an orderly manner that will produce the best gains in muscle mass and strength. 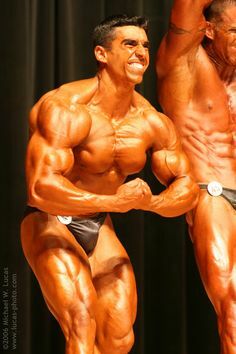 Through the use of periodization, not only you keep your body guessing (and thus changing), but you also maximize your training efforts by priming your body for muscle growth, then taxing the body to the point that it is on the brink of overtraining, and finally cutting back on the training volume in order to allow the body to recover and grow. Higher volume phases of 3-4 weeks alternated with lower volume bit heavier weight phases will get you on the path to serious muscle growth. As you grow and become more advanced, then you need to manipulate more variables within the program (such as tempo, contraction times, tension, etc) in order to keep progressing. For those of you who have used my Body Re-Engineering system or who have followed the advice provided in the articles of this website, you know the power of following the two items that I just discussed above. So back to the question of why a lot of people don’t grow…. Assuming that someone has the determination to do what it takes to get in shape, if the person is training and dieting with little to no results is because they simply DO NOT have the right plan, PERIOD. I guess that is what excites me so much about Hypertrophy Max…the fact that this is a FULL YEAR PERIODIZED PLAN that provides you both the training and the diet each month taking the guesswork out of your bodybuilding plan! If you have the determination to achieve the ABSOLUTE best physique, all you have to do is follow the plan. Now, I AM NOT SAYING IT WILL BE EASY! IT IS HARD WORK!!! 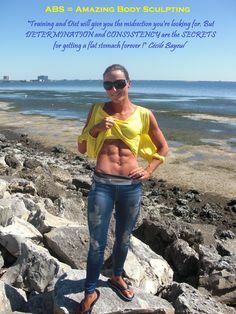 But at the end of the day, it is all worth it and if it would be easy to grow muscle and achieve an incredible physique, then everyone would look amazing by just taking a pill; but it just does not work that way. The Hypertrophy Max program is only on sale until Friday night, then they take it out for 6 months, so if you’re interested in making solid lean mass gains over the next 12 months with a different workout each month and A LOT of COACHING, then go and check it out today. 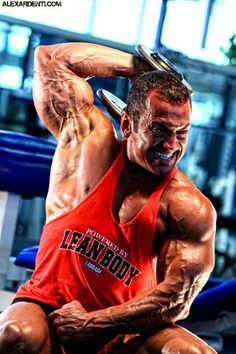 Heads Up: The Hypertrophy M.A.X. program closes is doors tonight until January 2013.
today that MEGA discount disappears. they deliver the goods then you can stay on board. If not, cancel! to the most entertaining and educational online show, Live Large TV! you to take relentless action towards your goals. figure out their life calling early on and they’ll take good care of you. seminar attended paid $150 to attend. You won’t pay a penny! 6. If you want GAME CHANGING results, you NEED A COACH. Period. when I got ready for my first contest). FOCUS. I will be there too every step of the way. a week only to look the same as last week, you NEED A BETTER PLAN. questions! And a private members forum that is already BOOMING. Just to get daily access to these two guys is priceless. attract super serious people like yourself to keep the motivation high. power to decide what it’s worth to YOU. So cool. in January when they re open. Right now you can order at 60% off if you take the full 12 month package and as I fully stand behind this program, I am going to sweeten that deal further…..take advantage now as you won’t see this offer EVER again. I’m booking spaces fast so if you are interested in this program then don’t wait and get it now so that I can reserve your space immediately! ==> Get Hypertrophy Max Now at 60% OFF and Reserve Your 30 Min Consult Space! I just want to make sure that you get the most value from the money spent. 4. AND I hear that Vince may be giving out also a FULL YEAR of his Live Large TV membership site! 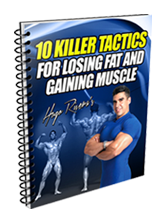 He has GREAT practical tips that he offers on his videos which will accelerate your muscle building and fat loss results as long as you put them into practice. Remember that APPLIED KNOWLEDGE IS POWER! When you add up the value of all of these gifts, they easily surpass the price of the whole yearly system! 1. Get the Year Long Hypertrophy Max program using the link below. 2. When you get your receipt after ordering (it’s instant) forward the email with the receipt to my personal address: hugo@hugorivera.net. 3. I’ll personally get back to you with a set of suggested dates we can hook up and you can get your consult. And make sure you take the full 12 month option and then you email me your receipt. See you at the forums and look forward to speaking to you soon! Leave a Comment with Facebook for Natural Bodybuilding FAQ: Why Are You Not Growing Muscle?